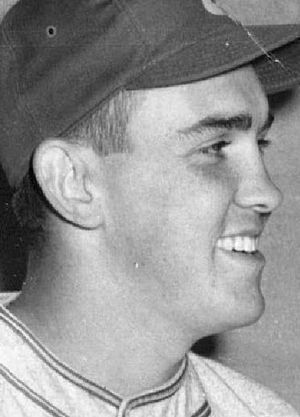 Earl Averill Jr., a Snohomish High School graduate and a seven-year major league veteran, died Wednesday in Tacoma. He was 83. Averill is the son of Baseball Hall of Famer Earl Averill. Earl Averill Jr., a Snohomish High School graduate and a seven-year major league veteran, died Wednesday in Tacoma. He was 83. The Mariners scheduled a moment of silence in Averill’s honor just before the start of Thursday’s game against the Red Sox. Averill is the son of Baseball Hall of Famer Earl Averill. Averill Jr., one of the most prolific hitters in University of Oregon history, was the Ducks’ first All-American. He hit .439 as a sophomore in 1951 and was a three-time Pacific Coast Conference All-Northern Division selection. He was inducted into the Oregon Hall of Fame in 1997. He made his major-league debut for Cleveland in 1956 and went on to play for the Chicago Cubs, Los Angeles Angels and Philadelphia Phillies, mostly as a catcher. Averill Jr. had his best major-league season with the expansion Angels in 1961, when he hit .266 with 21 home runs and an .873 on-base-plus-slugging percentage. He remains part of baseball trivia lore: In 1962, he tied a major-league record by reaching base in 17 consecutive at-bats — a record he shares with Piggy Ward, who set that mark in 1893. He recalled that one his at-bats in that record streak was an error by Hall of Fame third baseman Brooks Robinson. “He made the only error he made in 10 years on a gimmie,” Averill Jr. said jokingly. Toward the end of his career, Averill Jr. played minor-league ball with the Seattle Rainiers (1964) and Seattle Angels (1965). He became an avid Mariners fan and was “really optimistic” about the team this year, Randy Averill said. After baseball, Averill Jr. worked as a computer programmer, salesman and business consultant. He and his wife, Pat, also ran an upholstery business out of their Auburn home. Averill Jr. is survived by his wife of 63 years and their four children, 12 grandchildren and 11 great-grandchildren.